The building at the far end of the fair grounds that houses the agricultural entries - produce, preserves and pickles, bales of hay, honey and other bee-related items doesn't seem to have the traffic that the livestock building get. Maybe if I could get there for the judging. Maybe because livestock is more appealing to children. Perhaps because the livestock barns are closer to the entrance and the food tents. That's a pity, because New Jersey is called The Garden State for good reason, and the produce certainly bears this out. 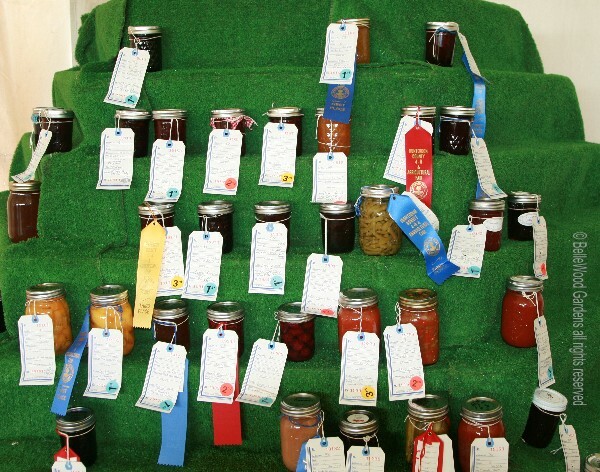 There's a stand for the diversity of sweet preserves and various pickles made from Jersey Fresh produce. 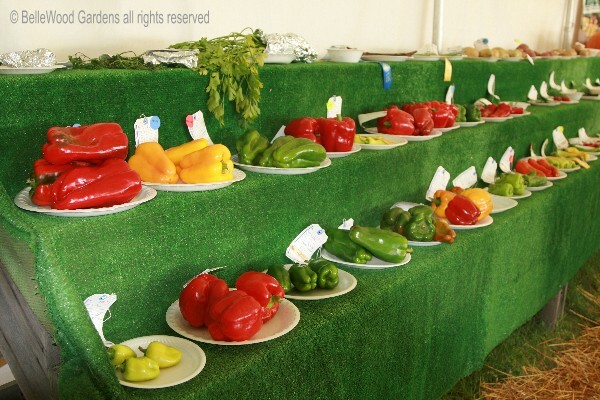 Two long rows of glistening peppers, green, yellow, red - and these are just the sweet pepppers. Little baby pumpkins and big fat ones, winter squash with sturdy rinds that mean they'll keep for months. Bales of hay. Appropriate for farming country with all that livestock. 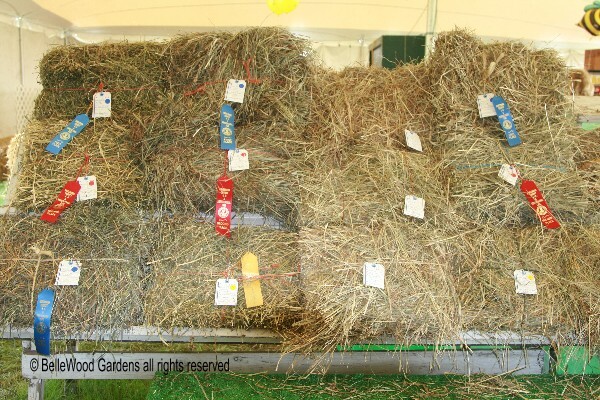 Small square bales for the fair. The huge round bales would be impossible to handle. Mostly alfalfa, sweet smelling and faintly green. 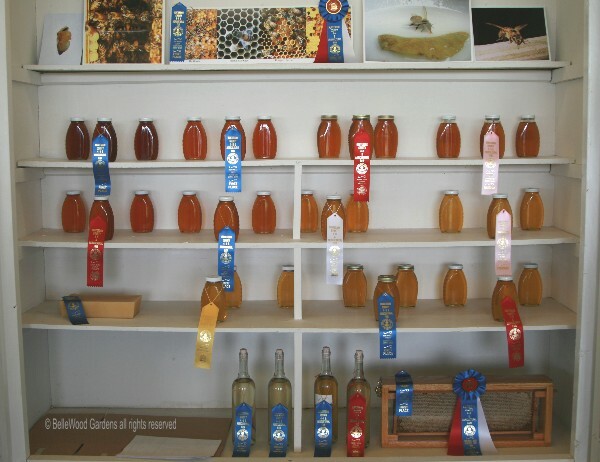 The Northwest Jersey Beekeepers Association has a sweet competition, jars of honey from dark to light. The jars are identical. It's the contents that are judged. Clarity, texture / pourability, and taste I imagine. 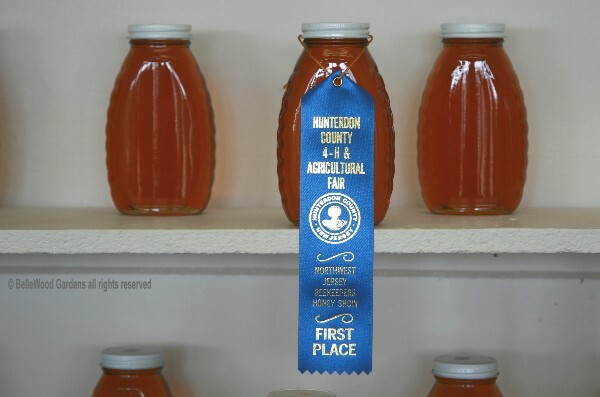 Honey is not the only product bees provide that's judged here. 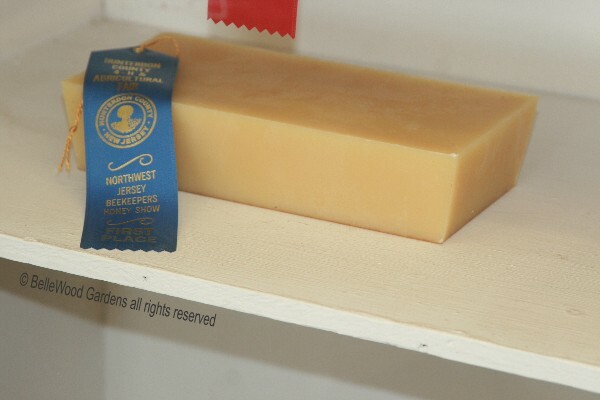 Look at this magnificent block of beeswax. 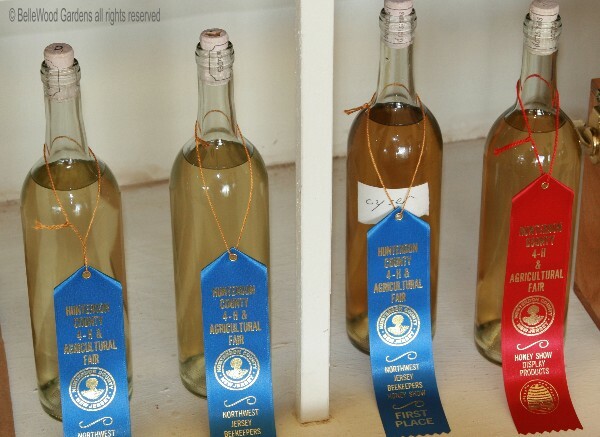 And with additional input from the beekeeper - mead, honey wine with an ancient history and long tradition. 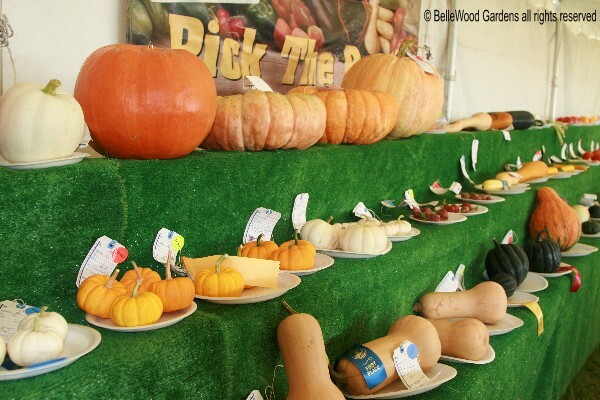 If you enjoyed this visit to the fair you can find the other entries here for cows and horses, here for sheep and goats, and here for chickens and rabbits.